Surgeries performed on children require a special level of competence and care compared to those performed on adults. Though all pediatric surgeries involve some amount of risk, unnecessary injuries may often be avoided by the exercise of reasonable and competent care on the part of the pediatric surgeon. When medical malpractice enters the picture, however, a child may suffer permanent injuries or death, which might have been avoided through the exercise of due care. If your child has been injured by a surgical mistake or oversight, contact pediatric-surgery-error attorney Jeff Killino at 877-875-2927 to learn how you may be able to recover compensation from those responsible. The consequences of even a small surgical error can be catastrophic. In serious cases, a child may have to deal with chronic pain, disfigurement, or disability for the rest of his or her life. The recommendation of a pediatric surgeon is often provided by a child’s general pediatrician. The American Academy of Pediatrics (AAP) and the Surgical Sections of the American Academy of Pediatrics provide referral recommendations to assist general pediatricians in determining when to recommend pediatric surgery and to which pediatric surgeons the patient should be referred. A team of physicians and other medical personnel may be involved in pediatric surgery, so that injuries resulting from medical malpractice in the course of surgery or preparation therefore may occur as a result of the actions or inactions of any one or more of several individuals. Hospitals and other entities that employ these individuals may also be held liable for the negligence of such individuals when that negligence results in injury to a pediatric surgery patient. 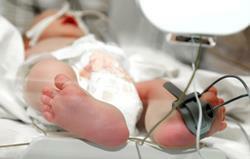 Anesthesiologists are among the medical professionals who comprise a pediatric surgery team. Errors in the administration of anesthesia in the course of pediatric surgery may result in compensable injury to a child patient, leading to liability on the part of the anesthesiologist as well as the hospital or group that employs the anesthesiologist. Pediatric surgery malpractice may include errors in medications administered in the course of a child’s surgery. These errors may be made by pediatricians when the wrong medication is prescribed or when an appropriate medication is prescribed in an unsafe dose. The failure to engage in weight-adjusted dosing often results in the prescription of an unsafe dose for a particular child. Negligent prescription of medications in the course of pediatric surgery may also result from a physician’s failure to consider the incompatibility of the prescribed medication with other medications the child is taking or to ensure that the child does not have an allergy to the prescribed medication. Nurses who administer medications in the course of pediatric surgery may also commit malpractice that results in injury to a child patient. If a nurse administers medication other than the medication that was prescribed, for example, or administers prescribed medication in an improper dose, the nurse may be found liable in a medical malpractice action for injuries suffered by the child as a result. A child may suffer injuries as a result of errors made by a pediatric surgeon during, before, or after surgery. If a surgeon fails to make a correct diagnosis of a child’s illness and the need for a particular surgery, injuries suffered by the child as a result of the incorrect diagnosis may be compensable in a malpractice action against the pediatric surgeon. Pediatric surgeon malpractice may also occur when a surgeon performs surgery on the wrong part of a patient’s body. If a child requires surgery on the left leg, for example, and surgery is performed on the right leg, the surgeon and anyone responsible for marking the patient’s leg to ensure that the correct limb is operated upon may be held liable for injuries sustained by the child as a result. Surgeon errors have also occurred when a surgeon leaves a surgical instrument in a patient’s body and further surgery is required to remove the instrument. Damages sustained as a result, including those related to the cost of additional surgery and any physical injuries suffered as a result of the presence of the instrument in the body may be recoverable in a medical malpractice action. Pediatric surgery malpractice for which damages may be recoverable have also occurred as a result of suturing errors. If the wrong sort of suture is used for the purpose or a suturing material to which a child is allergic is chosen, the pediatric surgeon may be held liable for injuries suffered by the child as a result. If your child has been injured as a result of malpractice in the course of pediatric surgery, contact pediatric-surgery-error attorney Jeff Killino at 877-875-2927 to learn more about your legal options.